The sins of the father are served up by the ladleful in Black Panther, one of the best of the solo Marvel adventures to date. Pop-cultural appropriation is nothing new in comic-book sagas, and here’s one that turns out to be a heady mix of William Shakespeare and Walt Disney – and with a few James Bond gadgets added to sweeten the deal. One quick word to get the nonsensical controversy out of the way. 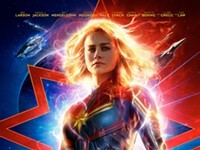 Before the film even opened, armies of mouth-breathing simpletons have taken to the Internet to whine about having to live in a universe (Marvel Cinematic or otherwise) in which a superhero movie is not only largely populated by black actors but also features a sizable number of meaty roles for women (they lodged identical complaints against the new Star Wars flicks). I’m sure somewhere there’s a petition circulating to have Rob Schneider or Scott Baio replace Chadwick Boseman as T’Challa in the sequel, but that’s fortunately not the way the world works. Certainly, there’s a level on which Black Panther goes beyond functioning as a mere superhero yarn – it has emerged as a representation, a rallying point, a reckoning. And that is indeed something to be cherished and celebrated. 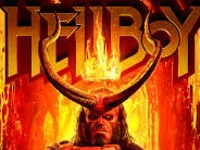 The haters don’t need this movie and this movie doesn’t need the haters, and as the box office grosses balloon and the critical raves expand, they’re invited to stay home and drown in a tub of their own salty tears. Yet one must really be blinded by ample prejudice and minimal self-worth to want to skip Black Panther. Forget the real-world sociopolitical scuffle: This is a welcome addition to the Marvel playbook, an exciting and pensive drama in which actions don’t always speak louder than words. To be sure, there are several invigorating set-pieces spread throughout the film, but there are also numerous dialogue-heavy encounters that take this beyond wham-bam-thank-you-Stan territory. First introduced in Captain America: Civil War, T’Challa/Black Panther (Boseman) here settles into his own storyline, one which finds him assuming and accepting his new responsibilities as king of the advanced nation of Wakanda. 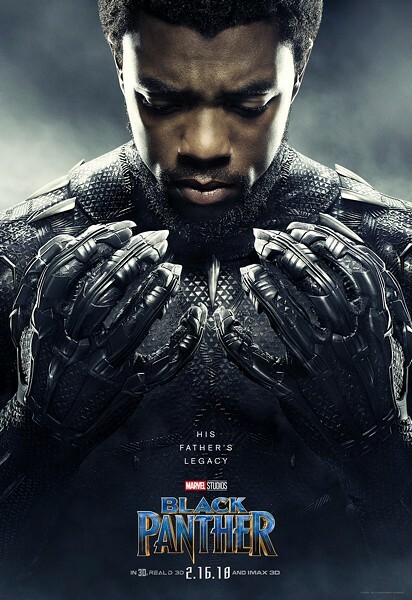 Yet he’s barely had time to claim the mantle before he’s challenged by Erik Killmonger (Michael B. Jordan), an American intruder who shares more of a history with the African country than anyone realizes. The arcs of T’Challa and Killmonger are exceedingly knotty, with both men having to contend with the mistakes that their respective fathers committed in the distant path. Obviously, T’Challa is the hero and Killmonger the villain, yet writer-director Ryan Coogler and co-scripter Joe Robert Cole are careful not to turn the latter into a one-dimensional adversary. Without engaging in any spoilers, let’s just say that T’Challa can learn a lesson or two from Killmonger’s global perspective – and does. Current Oscar nominee Daniel Kaluuya (Get Out), cast as a Wakandan whose loyalties are torn between his king and this usurper, is also on hand, as is Martin Freeman in a reprisal of his Captain America: Civil War role as CIA operative Everett K. Ross. Yet it’s safe to say that the ladies own this particular outing. Oscar winner Lupita Nyong’o (12 Years a Slave) adds warmth and depth as Nakia, the Wakandan spy who’s also T’Challa’s true love; The Walking Dead’s Danai Gurira glowers beautifully as Okoye, a formidable warrior and personal bodyguard to the king; and Letitia Wright is a scene-stealing delight as Shuri, T’Challa’s little sister and Wakanda’s resident genius. It’s Shuri who comes up with the various inventions seen throughout the film, making her in effect the MCU’s version of Q in the 007 franchise. A Bond comparison can also be made with the heady sequence featuring a battle royale in a casino royale. Indeed, it’s bravura sequences like this one that guarantee Black Panther will leave most viewers shaken and stirred. "Black Panther" follows T'Challa who, after the events of "Captain America: Civil War," returns home to the isolated, technologically advanced African nation of Wakanda to take his place as King. However, when an old enemy reappears on the radar, T'Challa's mettle as King and Black Panther is tested when he is drawn into a conflict that puts the entire fate of Wakanda and the world at risk. Black Panther, Black Panther in Disney Digital 3D, Black Panther: An IMAX 3D Experience and Black Panther: The IMAX 2D Experience are not showing in any theaters in the area.